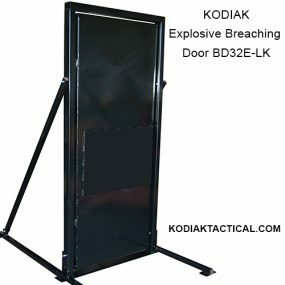 Kodiak’s Pry Breaching Door is constructed of high strength steel with stainless steel hardware. 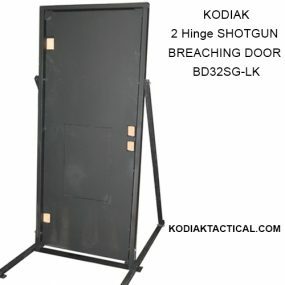 Available in 30, 32 or 36” wide doors. Each door system is manufactured to your requirements giving you the ability to purchase the size you need for your training. 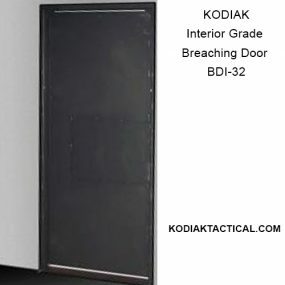 Wood strips are placed on the back side of the door and frame and the thickness and type of wood used give you a wide range of resistance without the expense associated with other doors. 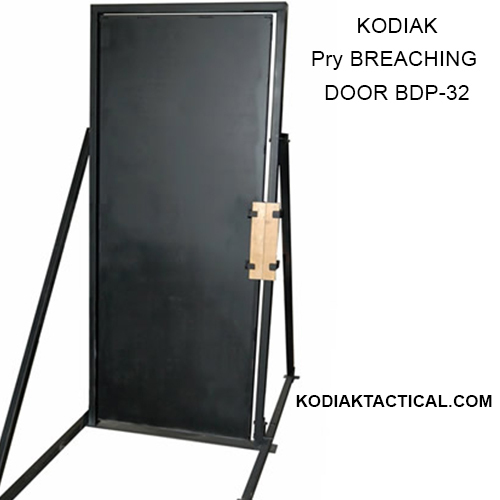 Place two pieces of strapping in brackets on front to give the operator the feel of setting the pry tool in a wood door. 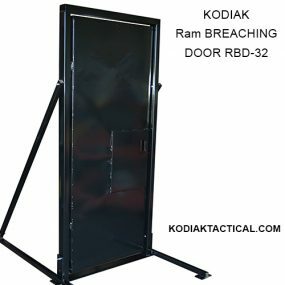 Each door utilizes 5 industrial hinges for smooth operation. Durable black finish. Other colors, styles and sizes are available by request.